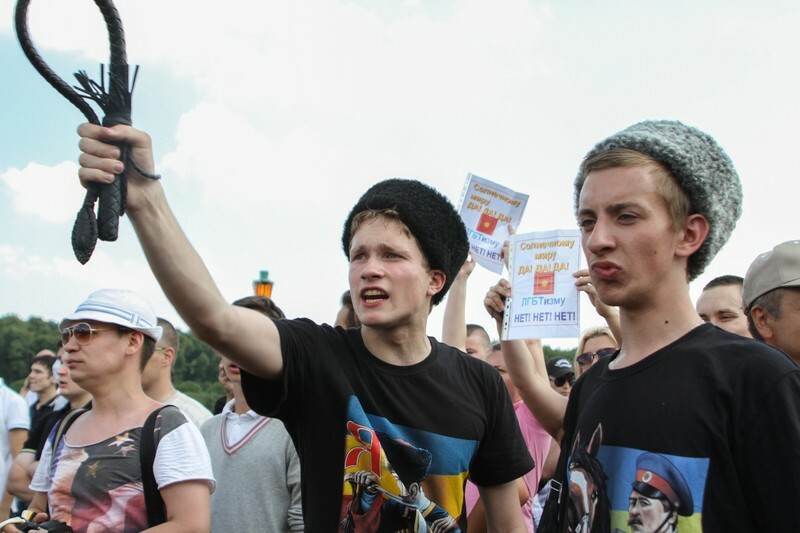 LGBT Protesters attacked at Pride In St. Petersburg, Russia. June 29, 2013, by Ekaterina Danilova. Photo: Demotix. Some organizations seem destined to exist in the crosshairs of the Russian authorities. Children-404, an online support community for LGBT youths, is one of those groups. On Monday, September 21, Russia's government media watchdog, Roskomnadzor, ordered Vkontakte—the country's most popular social network—to shut down Children-404's account on the site, along with the accounts of four other LGBT groups. In this respect, the communities contain personal ads about dating with teenagers for the purpose of non-traditional sexual relations, steamy images of sexual relations between teenagers and adults, and other kinds of illegal information. Officials say the five LGBT communities have three days to remove their illegal content, if they wish to avoid repercussions. Children-404 founder Lena Klimova says that authorities have not specified what content in their groups is against the law. But if the website refuses to comply with the order, Vkontakte risks being blocked in its entirety by Russian Internet providers. Although authorities might prefer to block only the pages belonging to Children-404 and the other LGBT community groups in question, Vkontakte's technical infrastructure makes this a tough move. Vkontakte works under HTTPS, a secure protocol that makes it very difficult for web traffic monitors to see which pages a user visits within a site. If Russian authorities want to keep users from seeing the pages of Children-404 and its allies, they may have to block the entire social network, a move that would likely trigger an uproar among young Russians. Klimova says she only learned about Roskomnadzor's action thanks to journalists. “It's funny,” Klimova writes. “On 404, we always prohibited people from placing personal ads, trying to hook up, posting things like, ‘Write me, I want to get acquainted. '” In fact, the community closely monitors the images shared with users, typically obscuring the identity of individuals photographed, and preventing anything like the “steaminess” described by Roskomnadzor. George Lobushkin, Vkontakte's spokesperson, confirmed that it has received Roskomnadzor's order to remove “several” LGBT youth communities. Lobushkin said that Vkontakte was still analyzing the takedown order, but the website TJournal.ru reports that Vkontakte has already blocked the other four, less prominent LGBT groups mentioned in the court ruling, including Young Gays and Bis—Jump to Me, Gays and Bisexuals of Barnaul, Children the Color of the Sky, and Gay Dating Barnaul Under 25!. Speaking to the newspaper Vedomosti about Children-404, Roskomnadzor spokesperson Vadim Ampelonsky said, “Unfortunately, the emotional enthusiasm of the project coordinator does not allow her to act within the law” and that “such complex and delicate topics as the teenagers’ socialization should be dealt with by specialists.” Interestingly, Kirill Grinchenko, the spokesman for MediaGuard, a group connected to the youth wing of the ruling United Russia party, repeated Ampelonsky's comments almost word-for-word in a press statement republished on the group's Vkontakte page. This is not the first time the pro-Kremlin group, which purports to monitor the web for illicit and immoral content, has stood in the way of Children-404. In September 2014, MediaGuard lodged a complaint against Children-404 with the Attorney General and Roskomnadzor. In July 2015, MediaGuard launched an online petition against Klimov's group, though Avaaz.org deleted it after two weeks. MediaGuard was also a witness in the court case that resulted in Klimova being fined 50,000 rubles (about USD $750) for supposedly violating Russia's anti-gay-propaganda law. This fine was later revoked by an appeals court. 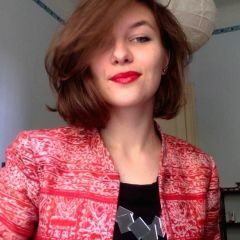 Though Klimova's Vkontakte page has been overwhelmed with hateful comments and threats (which is not unusual for her), she is telling her community and its supporters not to panic. “I don't know whom to thank for such [wonderful] advertising!” she writes. “We had more traffic and new members join today than any day so far this year,” she added. Children-404 currently has more than 66,500 subscribers on Vkontakte, and still more on Facebook and other social media.